I thought about attempting Capote’s orange almond cake, but this Memorial Day weekend in New York was so hot and sticky, I couldn’t even contemplate turning on the oven. Luckily, there’s no baking necessary for Capote’s favorite dessert, the one he raved about at the Queen Mother’s tea party. But what was it, exactly? 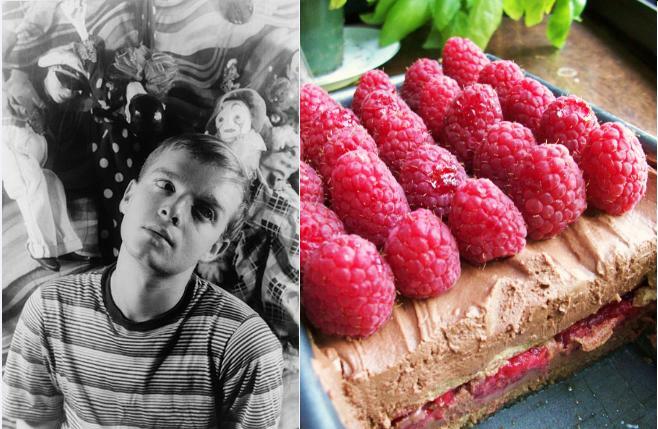 The editors of Capote’s letters call the cake a “summer pudding,” but the typical English version doesn’t have the chocolate or cream that Capote praises. Italian summer pudding, though, hits his description on all counts: creamy chocolate mascarpone and macerated raspberries, with layers of coffee- and rum-soaked ladyfingers. It’s tiramisu with a summer twist – and after making it, I can say with authority that Capote had reason to jump for joy. 1. In the top of a double boiler over simmering water, melt chocolate, stirring until smooth. Set aside to cool. 2. In a small bowl, combine half the raspberries, the powdered sugar, and 2 tablespoons rum. Stir until raspberries are coated, and set aside. 3. With an electric mixer on high speed in a large bowl, beat egg yolks and granulated sugar until pale and thick. Beat in mascarpone and cooled chocolate. In a separate medium bowl, beat egg whites until stiff peaks form. Fold egg whites into mascarpone mixture. 4. In a shallow dish, mix espresso, vanilla extract, and remaining 2 tablespoons rum. 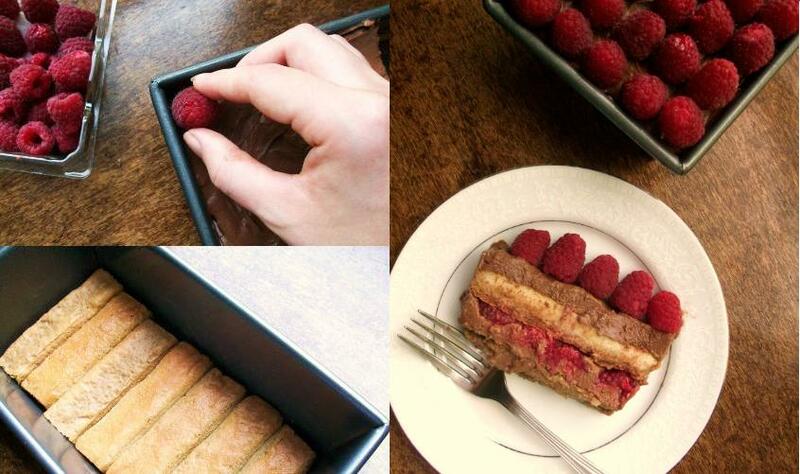 Working quickly, dip ladyfingers into the espresso mixture and place in a single layer, lengthwise, in a 5×10 loaf pan. Spread half the mascarpone mixture over the ladyfingers, then cover with mascerated raspberries, followed by the remaining mascarpone. Cover and chill 4 hours. 5. Garnish top of pudding with remaining raspberries and serve. Whoop with joy. Invite the queen. What a neat story about Truman Capote- and I am all about this dessert (especially the no-bake part)! I love no-bake too, especially this time of year! I’m still looking for a no-bake cookie that I like, though – I fear it can’t be done. If you find one, let me know! A wine bottle full of jam, that’s a lot! Anyway, just wanted to say I particularly enjoyed this writer and matching dessert post. Thank you, Ileana! I would never go through enough jam to warrant a wine bottle’s worth, either. I usually just make them in tiny batches on the stove – enough for two days or so. Yum! interesting! I have to agree with him as I think of nothing else too! What a great citation! I just hits the point of my own thinking, to be honest….perfect for the about page on my blog (just started it)! Thanks for the fun story of the queen mum tea party!